Continuing Professional Development sample written by an Electronics Engineer as part of their CDR submission. 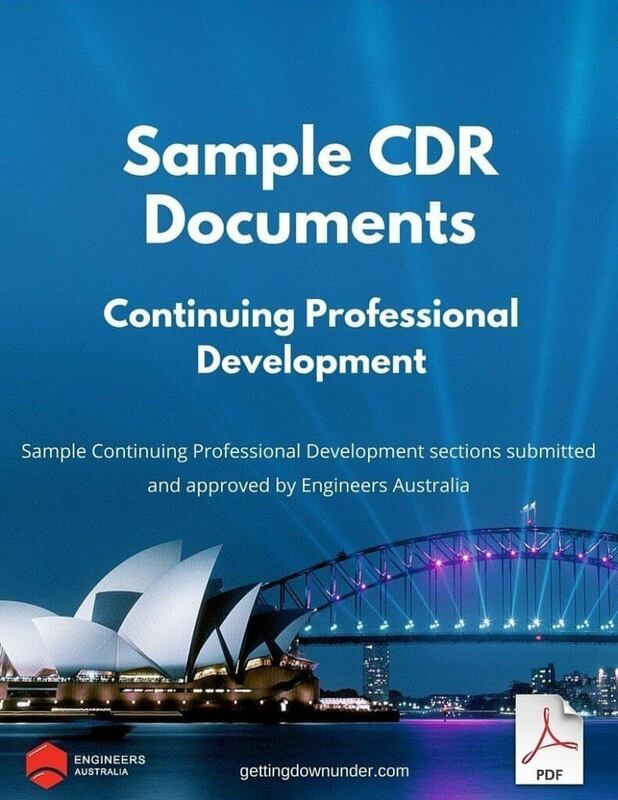 All of the sample CDR documents we provide here at Getting Down Under have been previously submitted by candidates to Engineers Australia engineers and have been positively approved as part of the candidate’s assessment. If you are an engineer in the process of completing the Continuing Professional Development section of your Competency Demonstration Report (CDR) then this sample will help you understand the type of information to include when writing your own Continuing Professional Development section. This Continuing Professional Development sample has been written by an Electronics Engineer as part of their CDR submission. This sample Continuing Professional Development section is one of many CDR templates available on our website. Please remember to use this Continuing Professional Development example as a guide only. An engineer applicant who submits a CDR for skills assessment to Engineers Australia must make a signed declaration stating that the CDR is all their own work and is a true representation of their personal competence. Click the “Add to Cart’ button on this page. You can continue to browse our resource section and add any other items as required. Once payment has been submitted we will email you a unique link to enable you to download your document. You should receive your email confirming your download instructions immediately although please allow up to 30 minutes for delivery. Please note that the download link for this sample Continuing Professional Development document will only be valid for 7 days so please download the link promptly.